Guitar Chop Shop - Music in Den Haag. Lovers of guitars and everything related to guitars will feel right at home at the Guitar Chop Shop. Prepare for a widely varied collection of guitars, bass guitars, western guitars, classical guitars and ukuleles. This is also a great address for pin-up stickers, amplifiers, cool T-shirts, sheet music and pretty much anything you can think of that is related to guitars. Guitars with a vintage feel, but with a modern dependability. The Guitar’s Chop Shop builds its own guitars, which are sold under the names GCS Hot Rodded Traditional and GCS Custom. 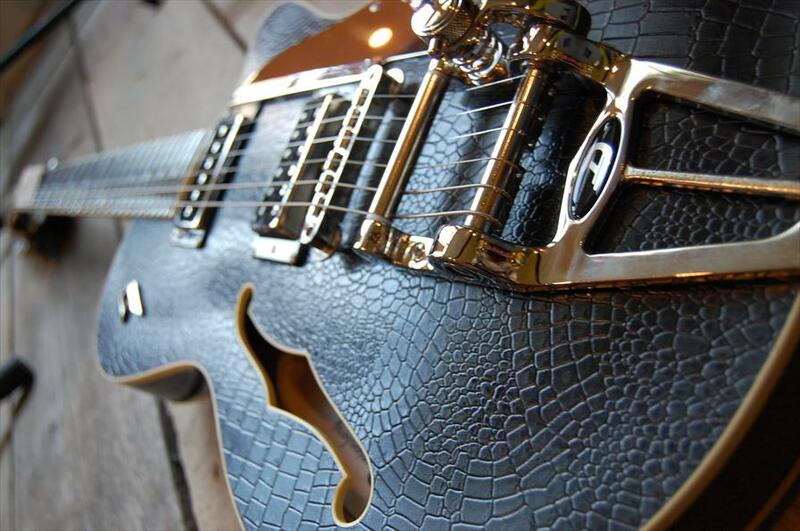 Professional guitar repair is also an option, as are custom-built guitars. The store draws in a crowd of no-nonsense musicians, both professionals and amateurs. Owner Sander Bonten has more than 20 years of experience and he runs the store alongside his wife Vera. For those in the know: Peer Dellen was his mentor. The store has something of a 50s/60s look and feel, partly due to, for instance, the beautiful jukebox. The atmosphere is warm and welcoming. 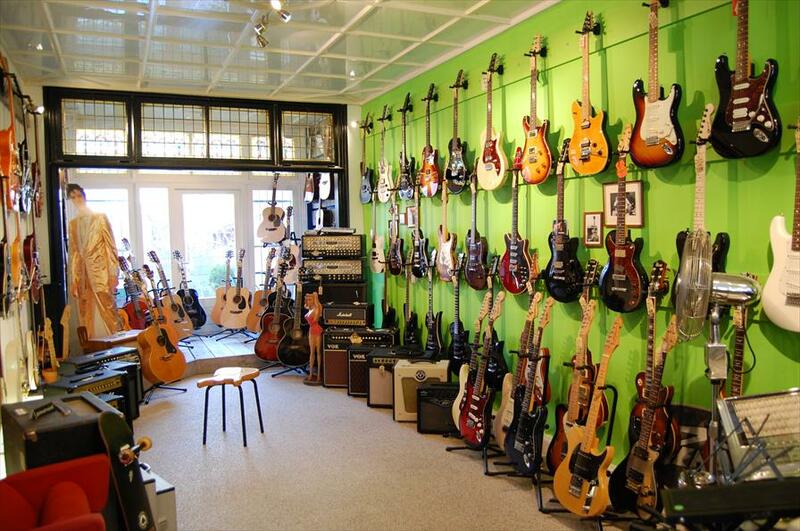 You’ll feel right at home, especially if guitars are your hobby or your profession! GCS claims to be a safe haven for guitarists. The cream of the crop of Dutch contemporary music are frequent guests. Spike (of Di-rect fame) came up with the name of the store! The Zeeheldenkwartier neighborhood is The Hague’s artistic quarter, home to a large number of musicians and artists and great little restaurants. Also, there is ample parking opportunity. GCS Hot Rodded Traditional, Fender, Duesenberg, Danelectro, Gretsch, Godin, Kay, Schecter, ESP/LTD, Ibanez, L'arrivee, Crafter, Blueridge Taylor, London City, Vox, Marshall, Juan Salvador, Granada, Cuenca Peavey, Lucky 13, Allparts, Fleabass, Skullcandy ENZ. GCS Hot Rodded Traditional en GCS Custom’s own brands.